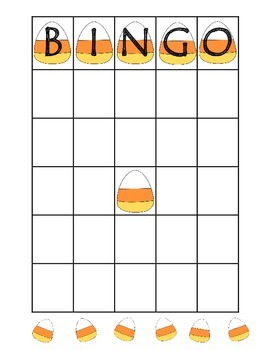 Free Candy Corn BINGO board that can used immediately for both Math or Language Arts. Students can fill in each box with the common core standard you would like your students to practice or review. Once they have filled in their squares you determine how the subjects will be chosen. homophones, contractions, parts of speech, sight words etc.